Should I Refinance to Afford an Energy Efficiency Improvement? Energy efficiency projects come in all sizes—and the big ones often take a lot of green. For instance, if you install solar panels, high performance heating and air conditioning, or all new energy efficient windows throughout your home, it could cost thousands of dollars when all is said and done. And although these projects stand to substantially impact household utility bills in the long-term, the short-term business of paying for them means coming up with a lot of capital, fast. Luckily, lending organizations don’t expect you to have piles of cash lying around to make these kind of improvements. Home equity loans—especially the Fannie Mae HomeStyle Energy Loan—help cash-strapped homeowners afford all kinds of efficiency upgrades. Of course, like every financial decision, the right payment method depends on your individual needs, situation, and budget. Here’s what you should consider if you’re thinking about refinancing to afford energy improvements—use this list for some guidance to help you come to a decision faster. Homeowners use all kinds of different payment structures when they’re looking to make home improvements, especially energy efficiency ones. The right plan for you typically depends on the size of the project and your credit history—although generally, it’s wise to pay for at least part of the project with cash if you can. Here’s what to know about each one. Rebates and Incentive Programs: Local utilities offer a variety of different rebate plans for homeowners to encourage them to upgrade their homes. Every program is different, of course, so you should check with your utility or use the DSIRE database for more details. Additionally, some state and local governments offer their own programs as well, often in the form of tax credits or sales tax savings. Again, DSIRE can help fill out the specifics for each one. In general, most programs have a substantial application process or may offer credits only when you file your taxes, so you may not receive the benefits right away. Credit Cards: For smaller improvements—say, those under $15,000—many homeowners just pull out their credit card. In fact, if you think you can pay off the amount in about 12 to 18 months, it’s not a bad idea to apply for a zero percent interest credit card. Just make sure you actually make the payment by then, because many of these cards have much higher interest rates after the initial promotional period expires! Personal Loans: Not interested in credit cards? Have a more expensive improvement to take on? If you have a squeaky clean credit history and a good score, your bank may be willing to extend you an unsecured line of credit. This is a loan where your credit score stands in as your collateral, so you don’t need to put a house or a car up to secure the loan. These loans are understandably a bit more difficult to be approved for than one secured by the deed to your home, and they may also have higher interest rates. Plus, the bank usually won’t lend you as much. Don’t expect to get any more than $50,000 under the very best circumstances. Secured Loans: These are the loans you’ll apply for when you need to bring out the big guns. You should usually only apply for a secured loan if you’re thinking of making serious improvements—such as updating several inefficient systems in your home, or purchasing a large solar array. The reason for this is that you’ll have to put your home up as collateral, meaning you stand to potentially lose it if for some reason you can’t make your payments. On the other hand, you’ll get a much lower interest rate—and typically, you’ll be able to draw on whatever equity you have in your home. So for instance, if your home is appraised at $250,000 and you only have $100,000 left on your mortgage, you have $150,000 of equity available. That being said, the application process is much lengthier. Additionally, the FHA provides a unique financing program for homeowners looking to make energy efficiency improvements—called the HomeStyle Energy Program—which offers funds based off a percentage of the home’s value after improvements are completed. Home Equity Loans: A home equity loan is a second mortgage on your home. And like a mortgage, you’ll have to go through all the hoops you did when you first bought your home: paying for closing costs and transaction fees, for interest. Generally, these loans offer money in a lump sum and have a 15-year repayment period. But it means you’ll be adding to your monthly mortgage payments on your home. Home Equity Line of Credit (HELOC): Need to make several improvements to your home over a period of time? A home equity line of credit may be your best bet. For instance, say you want to improve your home’s energy performance. You decide to install new insulation in the attic, get a new HVAC unit, and buy better windows. You could use a HELOC to do this over a period of five to ten years, just paying interest on what you borrow until your repayment period kicked in. Then you’d have fifteen years—usually—to pay the whole thing off. Cash-Out Refinancing: Cash-out refinancing lets you renegotiate the interest rate on your original mortgage, and get a sum of money out at the same time. Cash-out refinancing makes sense if you’re paying higher interest rates than you can get now, and if you want to avoid the closing costs of a second mortgage. The HomeStyle Energy Program uses cash-out refinancing for its program, too, but lets you take up to 15 percent of your home’s as-completed appraisal cost. This means if your improvement is going to increase the value of your home—as many energy efficiency projects—you could receive a lot more money during your refinancing. Most financing experts will tell you that you should only use a home equity loan if you really need an improvement and think you can afford the higher payments. But a cash-out refinancing offers you a chance to score lower interest rates on your loan—although it will add to the total balance on your mortgage. It definitely depends on your priorities, but getting an energy auditor or solar installer out to check out your home and make recommendations is definitely a great place to start. 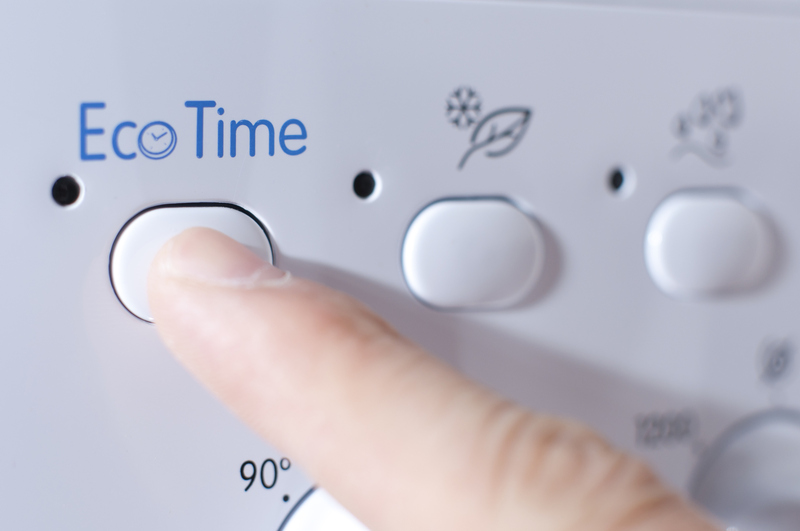 They can give you a sense of how much an improvement stands to reduce your energy bills over time, which can make an expensive project seem a lot more worthwhile in the long run. Or, if you’re just interested in solar, head over to our solar cost calculator and have a look for yourself. There are many paths to energy efficiency, so the choice is all yours!